ABILENE, TX - Be it man, woman, or child, everyone has some kind of dream or goal in life they work towards to achieve, and for many, that dream or goal requires a lot of dedication and sacrifice. Perseverance, patience, and determination are key factors in working towards those goals because most accomplishments do not come to fruition over night. Robbie Sanders Jr. of Lubbock, Texas and Tyler Pacheco, formerly of San Angelo, are two young men with similar hopes. They each want to make a name for themselves in the world of professional boxing. Both have an ambitious drive to succeed, and they have no limits on what they will do to get there. 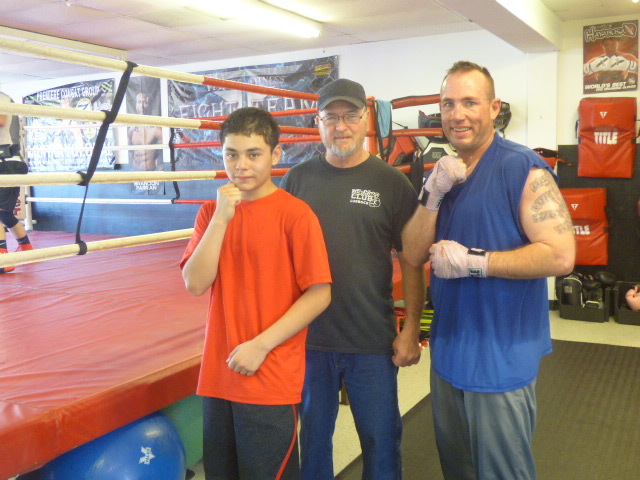 Last Saturday, Coach Geno Castaneda of The Training Facility (click here), located at 2347 N. 6th Street, in Abilene, Texas, held a sparring session at his gym. He said, "I had invited several teams to participate but with such short notice only 3 or 4 teams could make it. We still had a great turnout and the important thing is the athletes got the opportunity to see what else is out there and work with other boxers." Sanders, a 38-year-old former paramedic, had just finished six rounds of sparring and took a few moments to chat with LIVE! He said, "I got up around 6 this morning and we left Lubbock about 8 a.m." Accompanied by team mate Noah Martinez and Coach Sharkey Lecroy, the three reached Abilene by 10 a.m., warmed up with a few stretches and were ready to spar. Sanders started his amateur boxing career 7 years ago and has around 15 amateur bouts on his record. He reminisced, "I fought at the state level twice at 178 (pounds), and although it was a great experience, I decided at my age, I might as well go 'pro' and get paid for it. 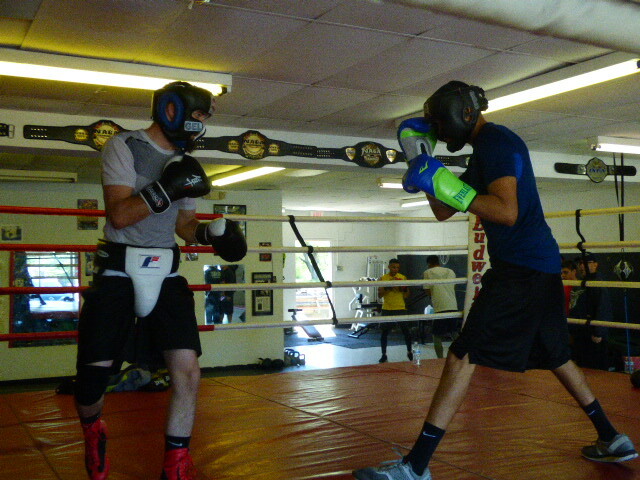 I have a pro fight in Roswell, New Mexico coming up on July 22nd and am trying to get all the sparring in I can." Sanders is the father of three and grandfather of one. When asked how they felt about him boxing, he smiled and said, "They fully support me. I'm hoping to get a fight in Phoenix, as that is where they and the rest of my family live, and it would be great if they could see me fight." Sanders added, "All I have left to do before this fight is finish up my medical requirements and continue with my regimen." Eating healthy, working on cardio, speed and conditioning are his main focus; that, along with getting plenty of rest, is what keeps him in shape. Sanders' gave this parting advice for other young men or women considering entering the sport: "If it's in your heart, do it. We all come together in one way or another as it's the will of God." Laughingly, he concluded, "Who knows, maybe one day I will have my own boxing gym and a book to go along with it; I'm willing to do the work." A couple of days later, Sanders proudly posted on Facebook that he had just completed the stress test portion of his physical in a record 19 minutes; that alone says he can hold his own. Pacheco also put in some serious ring work that day. Weighing in at around 126 pounds, he too is looking forward to the big time. "I'm training for my professional debut," he said. "I moved to Abilene specifically to train with Coach Castaneda. He's worked with some great fighters, and it really helps that he trains with us." Pachecho started out as an amateur MMA fighter with a record of 4-1 and decided to go pro when he was 19 or 20. "I had to take a couple of years off, but am ready to get back in there," he said. "We've been working hard every day focusing on my debut to improve my technique, speed and skill." Although he doesn't have a fight scheduled at this time, Pacheco said he's also been "traveling every chance I get since January to places such as Amarillo and Ft. Worth. You just get more experience, as not everyone has the same style." While Pacheco was sparring, a young boy watched his every move, and in between rounds, would give him a sip of water between the ropes. "That's my son, Jayden", said Pacheco proudly. "I started out teaching him boxing around 6 months old; it's never too early to start training. I figure by the time he's my age, he'll be ready to fight. I can't wait!" Unfortunately, boxing has had a bad reputation over the years with some of the pro fighters, and even some of the amateur members who aren't in it for the right reasons. What some may not realize, there are still some of these smaller gyms that give kids a safe place to go versus the streets. Young men and women come together and not only work on their own skills, physiques, and esteem, but they also help out one another. For the most part, it is a brotherhood, and sometimes the only 'family' one has. Castaneda elaborated on some of what it takes to be a boxer. "I highly recommend that prospective boxers start off at the amateur level and build their way up. There are some who have high ambitions and start at the professional level, but once you've been paid to fight, you can't go backwards to the amateur level. For those who start out in MMA, and decide they want to try amateur boxing, the rules have recently changed. One with MMA experience will now have to start their amateur career as an 'open fighter,' meaning their amateur opponents will have 10 or more fights already." In the past, it was not unusual for an experienced MMA fighter who became an amateur boxer to be matched with another amateur boxer with zero fights. Not only was it a risk for serious injury, but poor sportsmanship. 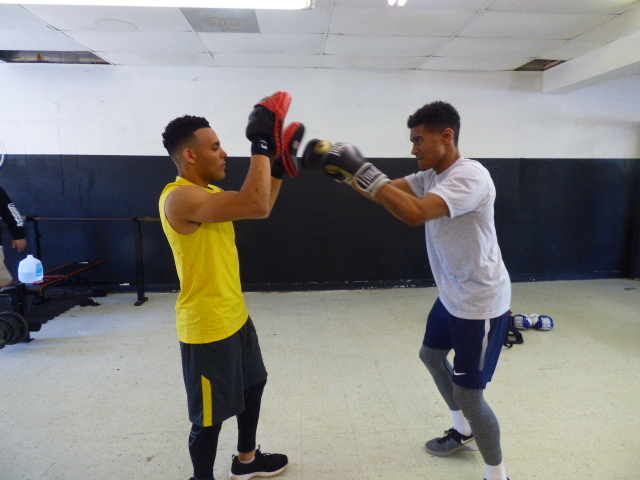 Castaneda said "boxing is the 'poor man's sport,' and although most coaches run non-profit organizations, it can get pretty costly just to sign up to participate." All amateur boxers, coaches, and teams are required to pay annual fees to USA Boxing in order to be insured, registered and or certified. "I believe, if a member were to sanction a one-day show, the fee is around $300. To register as an athlete, it's around $90, coaches pay $125, and then to register a team, it is $250 for the year." Most coaches train students for free, but then there are some who have to charge a nominal fee to afford equipment, uniforms, travel expenses, and the like. "Most of the time, the money comes out of my own pocket," said Castaneda. "I just love the sport and it helps the local youth by giving them a chance to better themselves and partake in the sport." For more information, check out the gym on Facebook here, or call (325) 660-0609.